If your teeth are healthy enough to retain and don’t need to be extracted and be replaced by dental implants – restoring them is the best option. 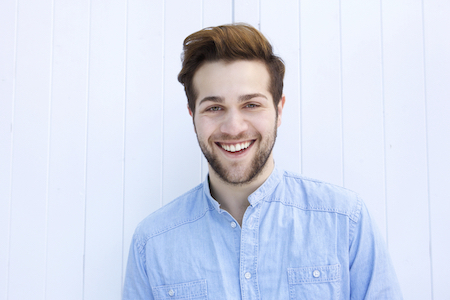 Part of a full mouth reconstruction plan is making sure your healthy teeth have many years ahead of them. 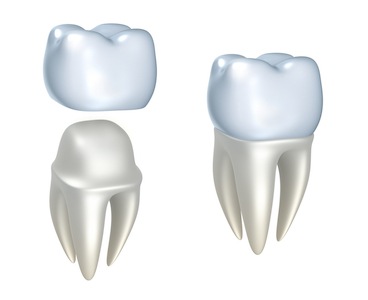 One of the ways we do that is by offering custom porcelain crowns in our Largo dental office. The restoration covers the entire surface of your tooth up to your gumlines. Like a healthy tooth, it’s important to floss and brush around it daily to prevent any new decay from developing around the margins. At Dental Implant Solutionz, we have a certified prosthodontic dentist on staff who specializes in restorative procedures like crowns and dentures. One of the ways we make sure your new tooth looks and feels great is by utilizing wax up previews of your new smile as necessary – especially for more complex cases. These models allow you to preview what your permanent restorations will look like, before we even schedule the treatment. It’s common to feel nervous about having dental work done – and that’s ok. Our Largo dentist provides convenient IV, Oral, and Nitrous Oxide sedation options to allow you to relax throughout the entire procedure. Whether it’s an extraction, hybrid denture, or even LANAP laser treatments for your gums, we have the sedation option that is right for you. Learn more about our $850 porcelain crowns today by schedule your first visit with us. Our new patient special is just $59 and includes a healthy smile cleaning, exam, and diagnostic x-rays.